Have you ever left a hair salon unsatisfied and looking worse than how you went in? Or have you ever had to travel long-distances to get your cut right or laid by someone. That’s been most of us at least once, but hey, the struggle is no longer real according to two business-savvy entrepreneurs that had women of color in mind. 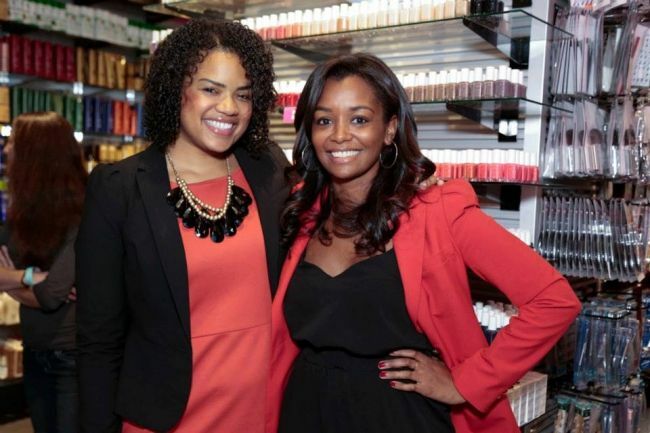 Jihan Thompson, former magazine editor, and Jennifer Lambert, former corporate lawyer, noticed that there were countless beauty apps, but none that catered to Black and Hispanic women’s needs. This was the genesis moment that led the game-changing duo to take the entrepreneurial lead, and create something that was desperately needed: Swivel. This booking app is designed to assist women of color in New York City find the right hairstylist for their specific needs, whether it be for natural or relaxed hair. Swivel is meant to streamline the searching process and cut down the time it takes to find what you’re looking for. The app opens with three options to narrow down your search: desired service, hair type, and city. You can select anything from an in-home styling, a twist out, or a wash & go; the options are limitless. The hair type drop down menu ranges from naturally curly to relaxed to transitioning, which allows for as much inclusivity as possible. Hair is an integrated part of Black and Hispanic culture, yet the beauty and hair industry is built around the Caucasian experience. “Women of color can’t just walk into any salon and get their hair done,” says Jennifer, therefore it makes sense to create something that connects women of color with their own. “Black woman beauty needs matter!” states Jihan. Jennifer and Jihan personally go to the salons that want to partner with Swivel before they add it to their database. There are currently 35 vetted salons and around 100 stylists, with over 100 user-generated reviews that are based on the stylist, wait time, type of hair, type of style, and experience. Market research firm, Mintel, projects the black haircare industry to grow up to $761 million this year, and mainly due to social media. “Social networking is one avenue that has helped to garner trust, empowerment, individuality, and pride as it relates to haircare. Brands have been born and re-born using social networks,” states Mintel analyst, Tonya Roberts. This beauty app is already seeing a dramatic increase every month. “The conversion rates were slower in the beginning but there is more and more growth every month,” says Jennifer. 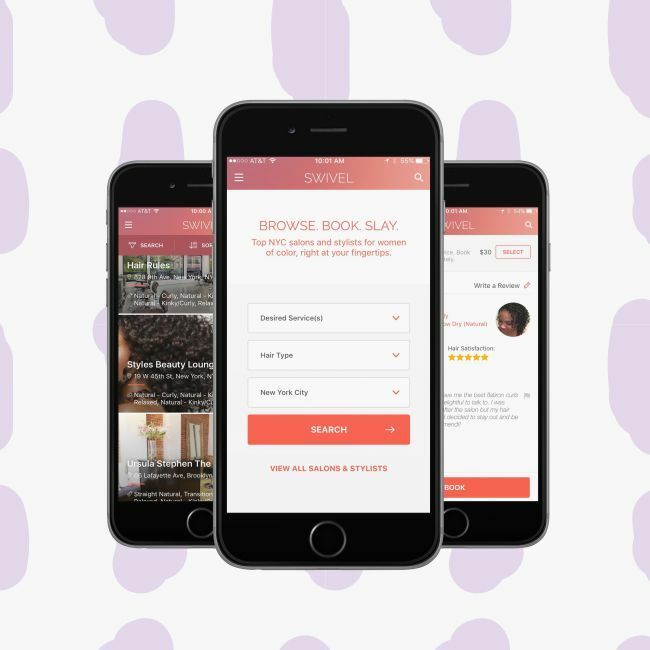 The app is currently servicing Black and Hispanic women in the New York City area, but Swivel founders are in the works of taking this beauty experience nationwide (so not to fear, it well get to everyone soon!) by the end of this year! If you don't live in the New York City area, you can search our Salons page for salons that have been reviewed by NaturallyCurly community members. Is finding a stylist still a challenge for you?